It’s amazing how things sort of cosmically come together sometimes. 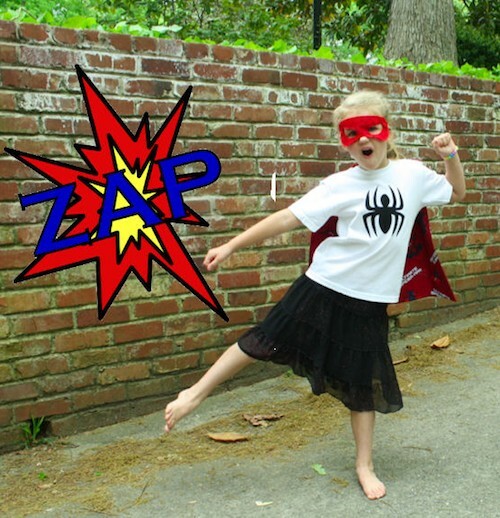 A few weeks ago I was contacted by a woman organizing a Superhero 5K to raise awareness of bullying its long-term effects. She was looking for donations for prizes and had found my superhero masks and asked if I’d donate a set. I was so flattered and eager to help with anything she needed. I then discovered she was organizing the run in my city and had no idea where I lived! So I promptly registered The Hubs and I for the run and asked her if I could donate more. She happily accepted my offer. 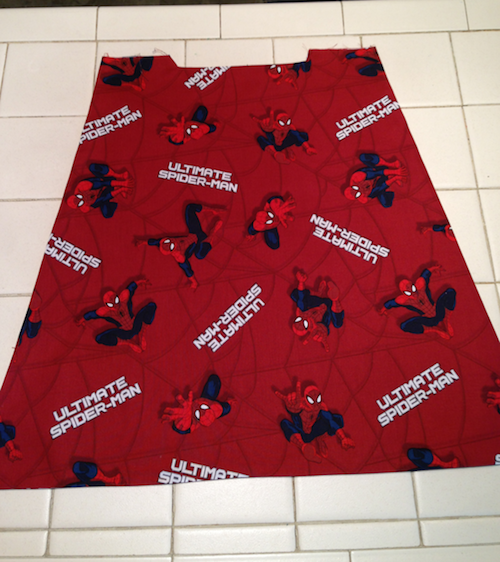 It just so happens that the day before, a friend of mine shared a story about a paper-thin, washed-one-too-many-times, beloved Spiderman costume her son owns and how it caused a wardrobe malfunction at the least opportune time–with missionaries on her doorstep! It got me thinking about how I wished there were more options for boys and costumes of their heroes. 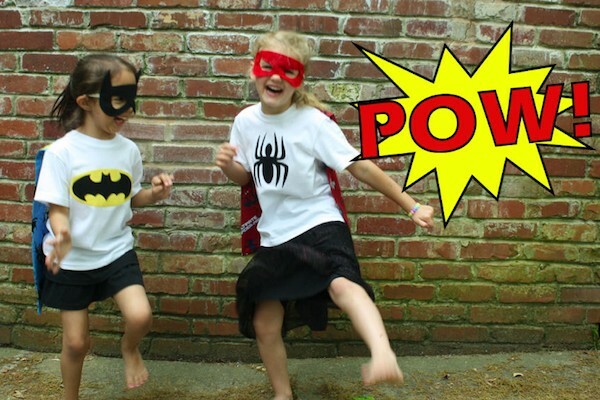 There are all sorts of dresses you can make to look like Princesses or other girl characters, but boys are left with one-piece, horribly-produced, overpriced Halloween costumes that aren’t meant for the washing machine or daily wear. So between the two, I was inspired. 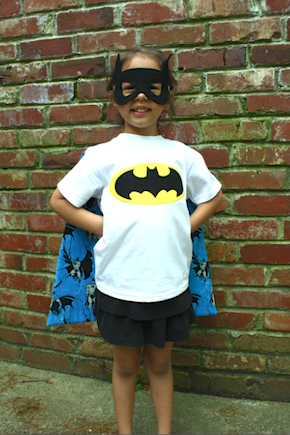 I’ve seen the hero shirts that have capes that velcro on them and they’re just not my style. 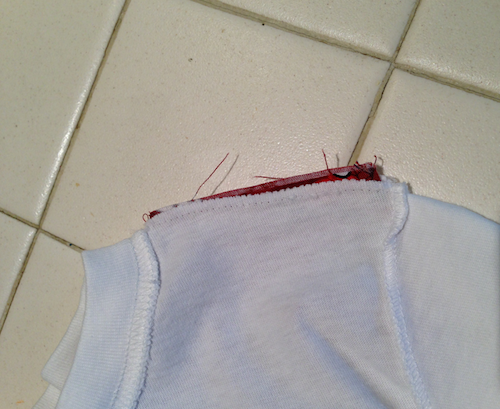 Velcro quickly collects junk in it and loses it’s ability to stick to itself (yet manages to stick to other laundry in the washer), and it doesn’t stay on very well, no matter how new the velcro. It’s just not my favorite medium. 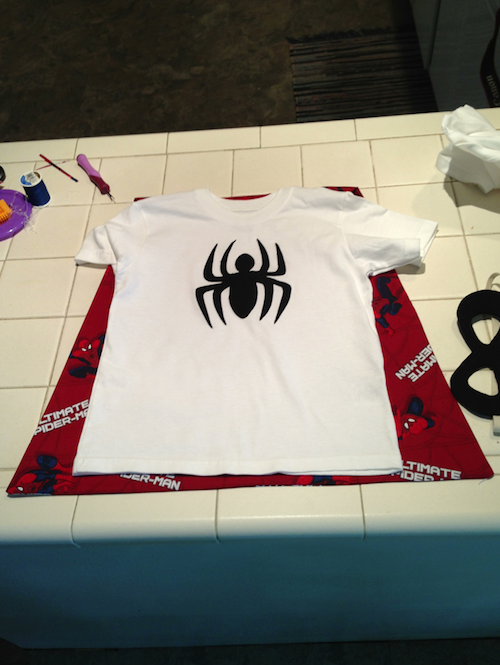 So I decided I’d make an easy way to put the cape IN the shirt! Why a cape? 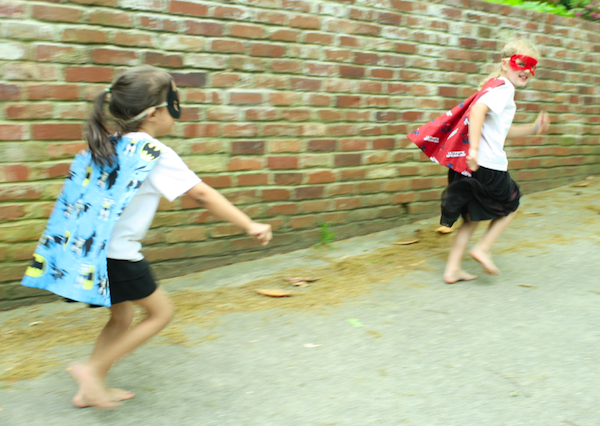 Well, because I firmly believe that everyone needs a cape. 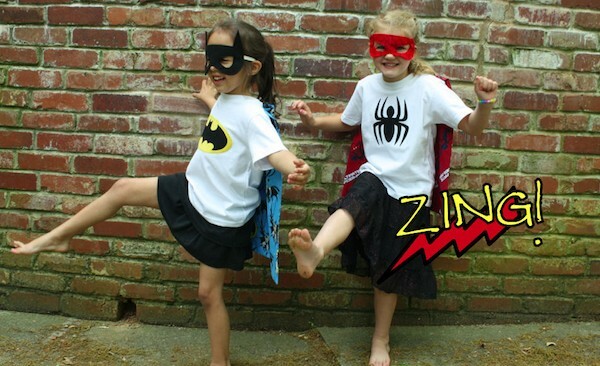 Sofie and her best friend were so excited to help me model these! I laughed and laughed at their “tough” poses, since they can’t help but be anything but complete girls! 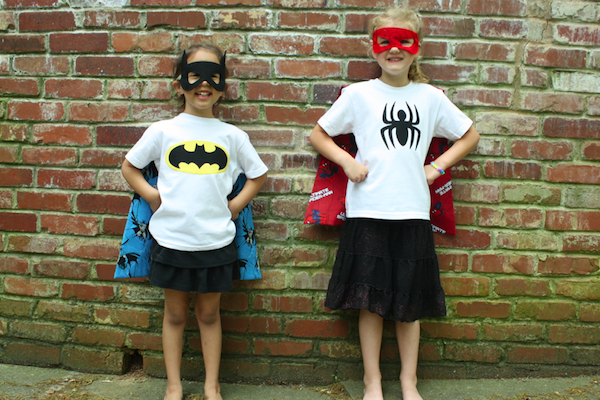 But they LOVED the shirts and begged me to make girl versions. I promised I would and they’re coming soon! These shirts are great! 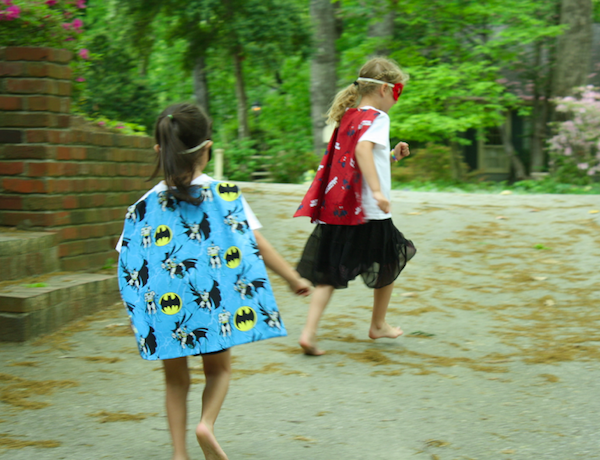 Having the cape attached helps the little superheroes run and play to their hearts content without the chance of their cape falling off. The Hubs kept giving me the, “NO CAPES!” from The Incredibles, but this doesn’t go around their neck and is just a bit longer than their shirt, so there’s really no chance of them getting hurt in any way. 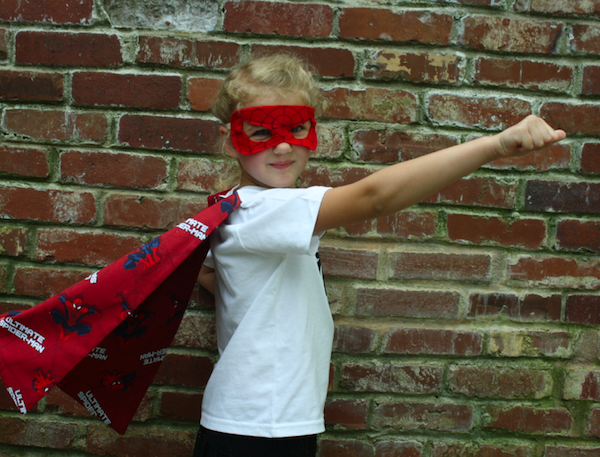 And I know, I know, Spiderman isn’t a caped crusader. 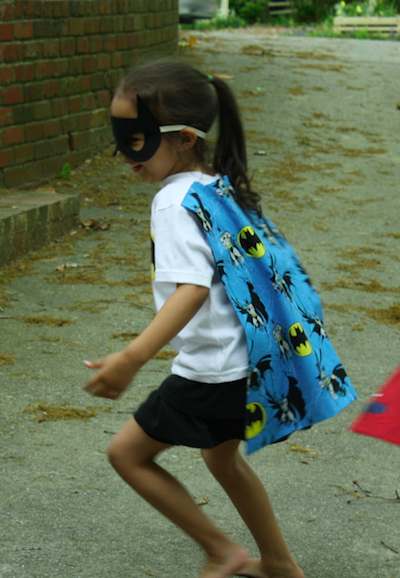 But I still firmly believe everyone needs a cape! 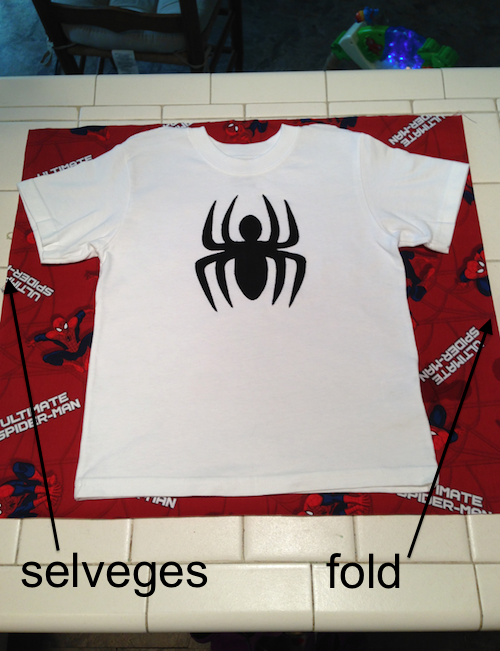 These shirts are extremely easy to make! If you like the logo on the chest, do a simple applique following my tutorials for applique and appliqueing curves. Get your coordinating fabric and cut it to be a few inches longer than your shirt. At the top, mark the neckline of the shirt on the fabric on both sides. MEASURE THE SHOULDER SEAM. 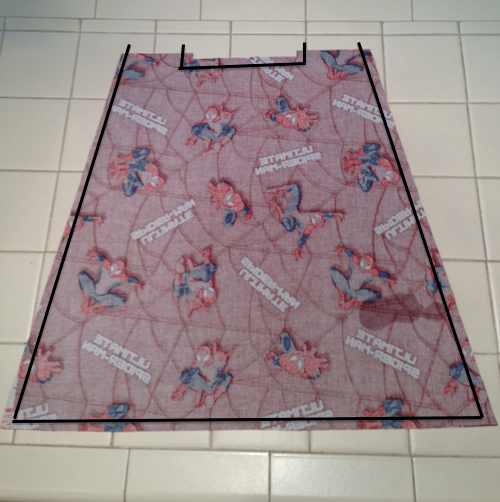 This is the key to the cape being a perfect fit. 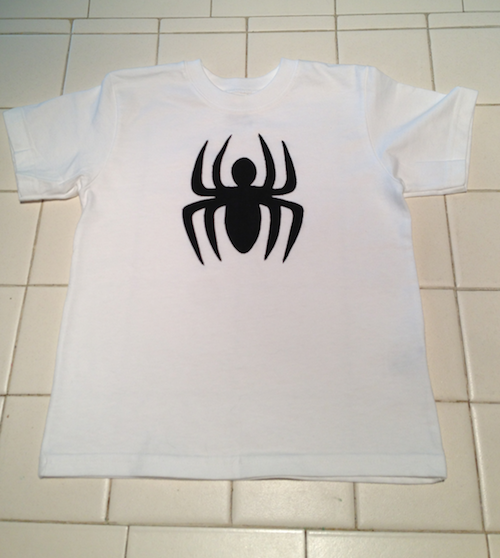 For this 5T shirt it was 4″. 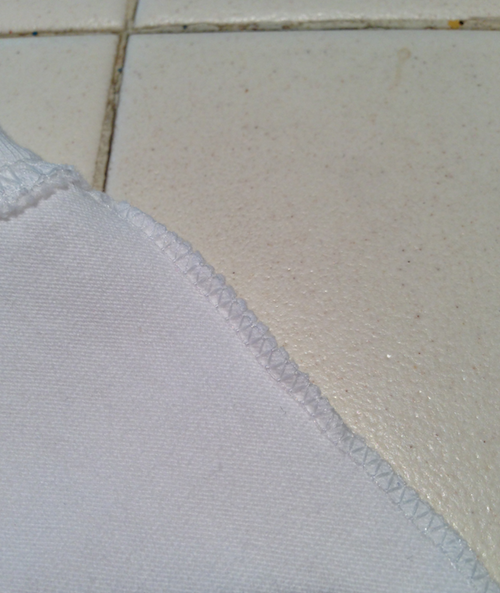 Fold the fabric in half long ways, matching the marks you made for the neckline. 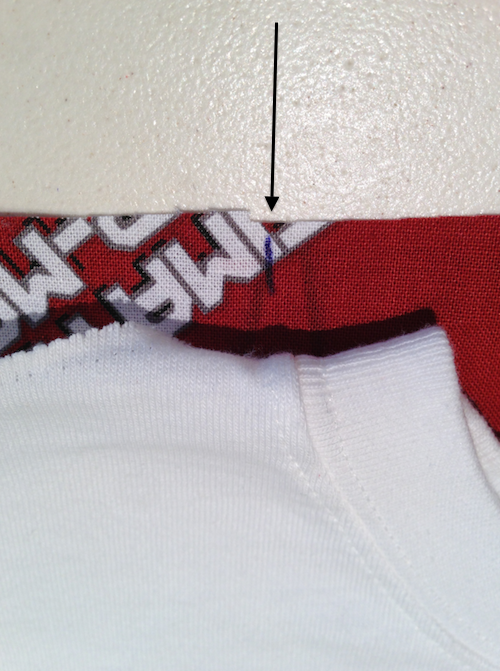 Measure over the width of the shoulder seam. 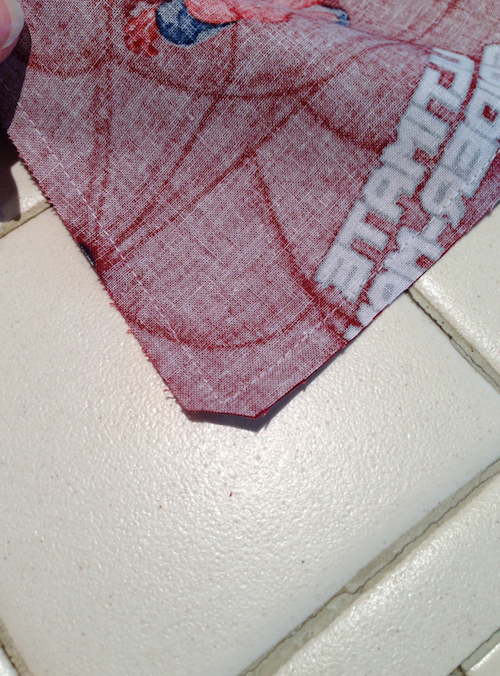 Then cut off the excess fabric at an angle from that second mark, going down diagonally to the bottom outside corner. Open your fabric up and you’ll have 2 matching pieces. Draw a line 1/2″ down between your 2 neckline marks to open up the middle and make 2 pieces that fit into the shoulder seam. 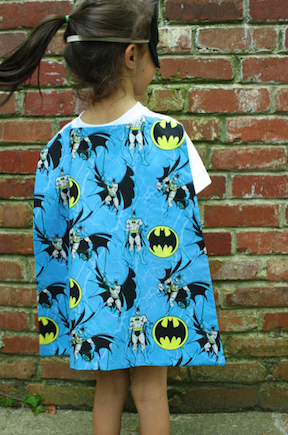 Put your cape pieces with right sides together and sew around the neckline, then down both sides and across the bottom. 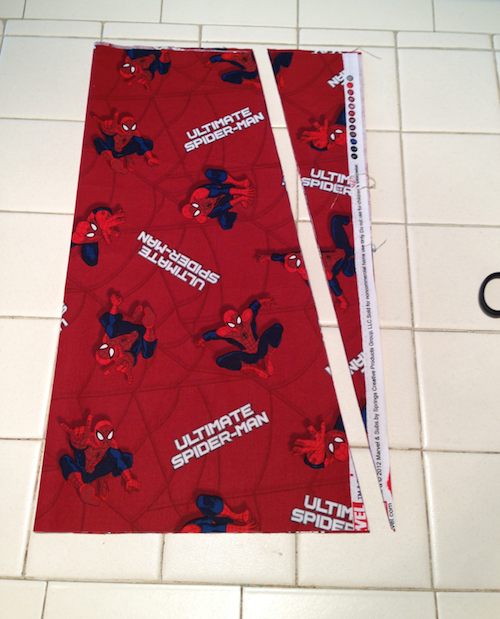 I used a 1/4″ seam allowance. Cut the corners so they turn easier. And make little clips in the corners at the neckline so it lays flat when turned. Turn it right side out and press. 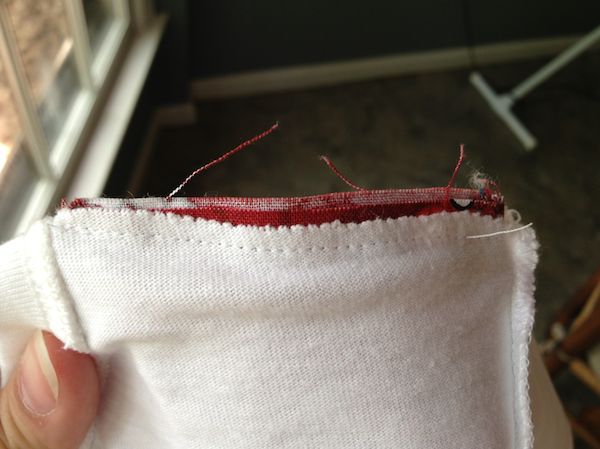 Now turn your shirt inside out and placing a seam ripper under the seam, rip it out. 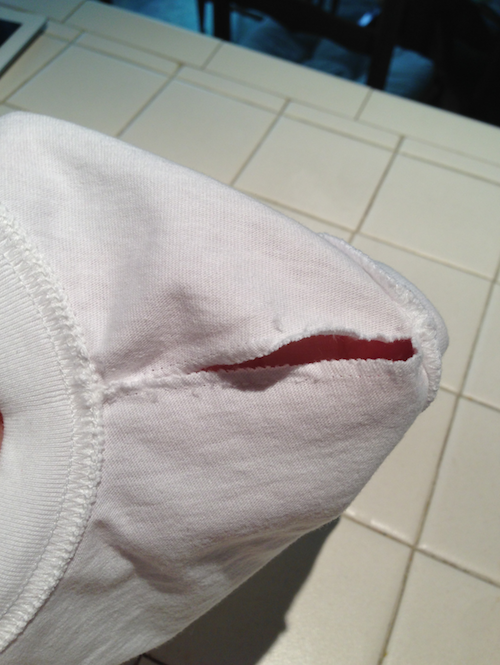 If you do it on the side where the stitching looks like triangles it’ll come right apart with ease. 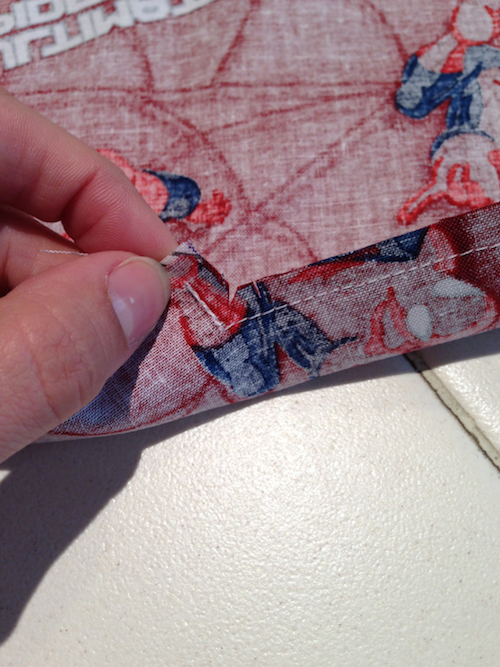 then using a wide stitch, sew the seam closed. 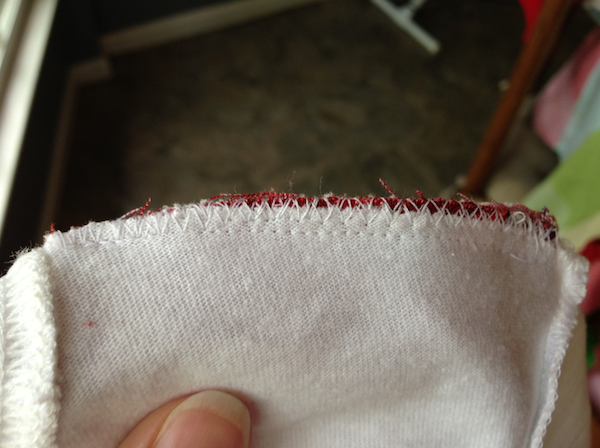 You’ll want to replace the serged seam, so if you have a serger, go for it. If you don’t (I do, but wanted to show you this way), just go over it a few times with long, wide zigzags. And that’s it! 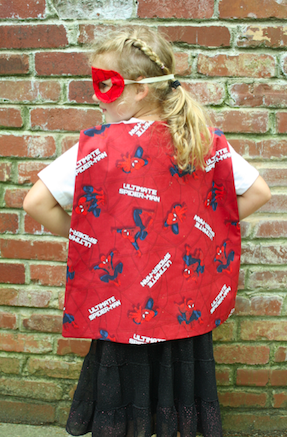 A permanent, washable cape. 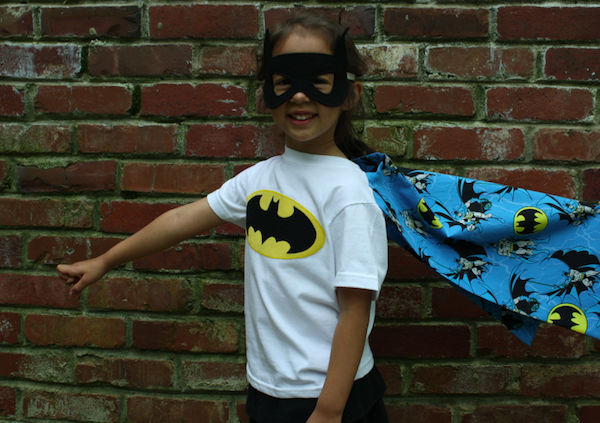 Throw it on your favorite little hero and let them take on the world! SO COOL. 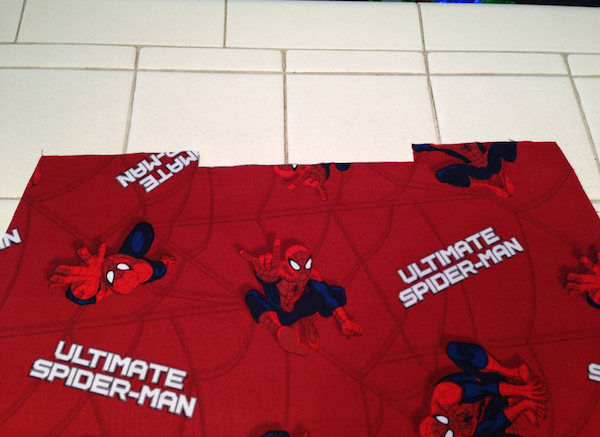 I never thought to pick the tee shirt seams and insert the cape…that’s genius! So adorable! 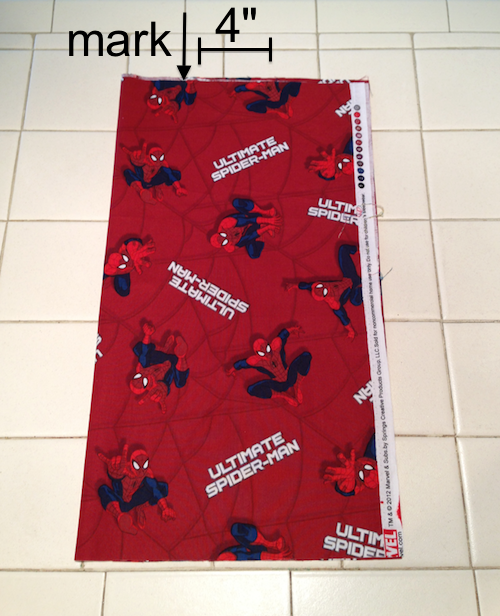 I think I’m gonna have to make my nephew one of these but with Iron man, thanks for sharing! 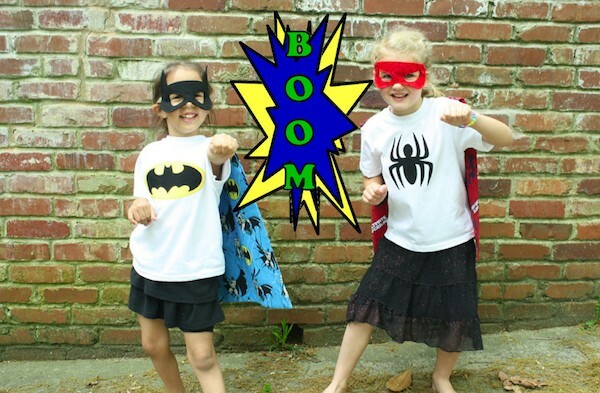 I’ve sewed costumes for my younger cousins (who are boys) after my aunt searched in vain to find a costume that would last so they could both wear it (at different times) and found nothing. 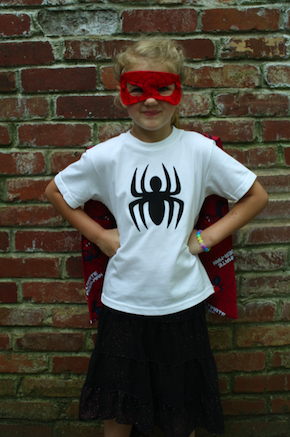 Next time she asks me, I’ll remember these cape shirts, they are so cool!